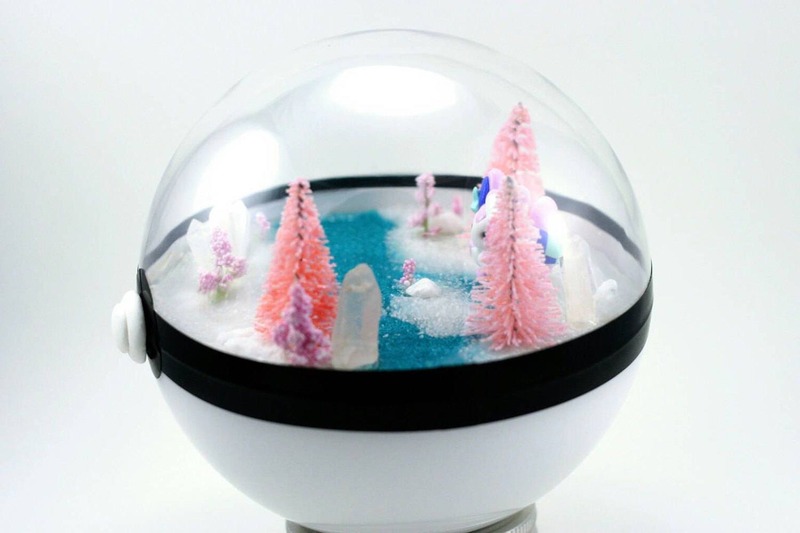 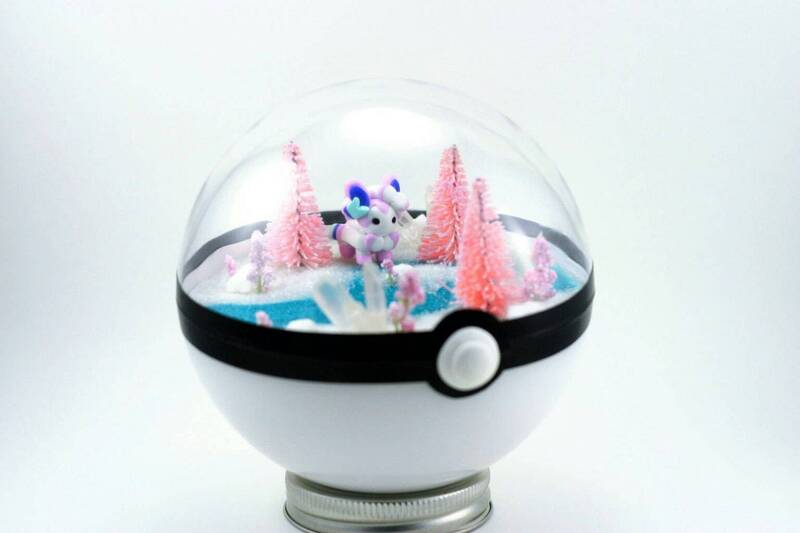 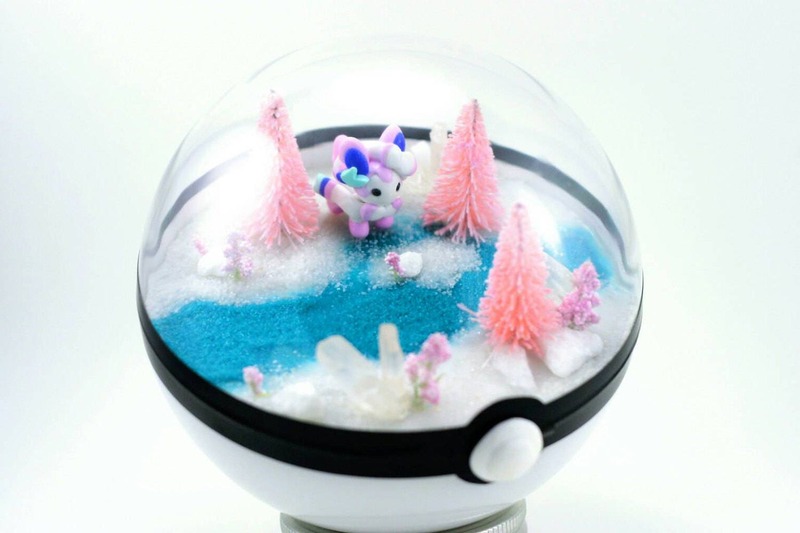 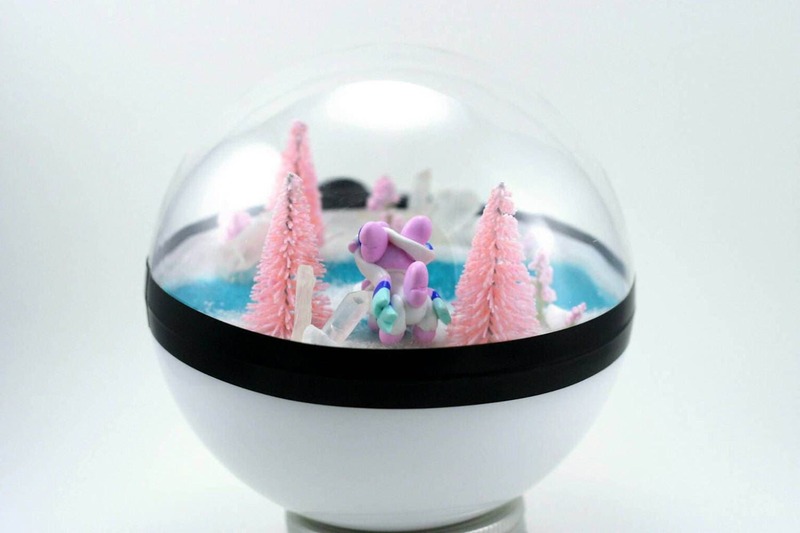 The Sylveon inside the Pokeball Diorama is handmade out of polymer clay. 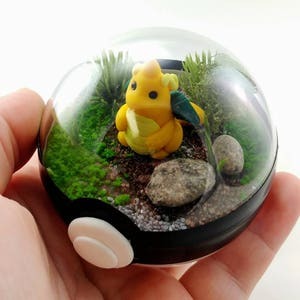 These Diorama Ornaments are made as display pieces and are fragile so I wouldn't advise throwing them at your enemies. 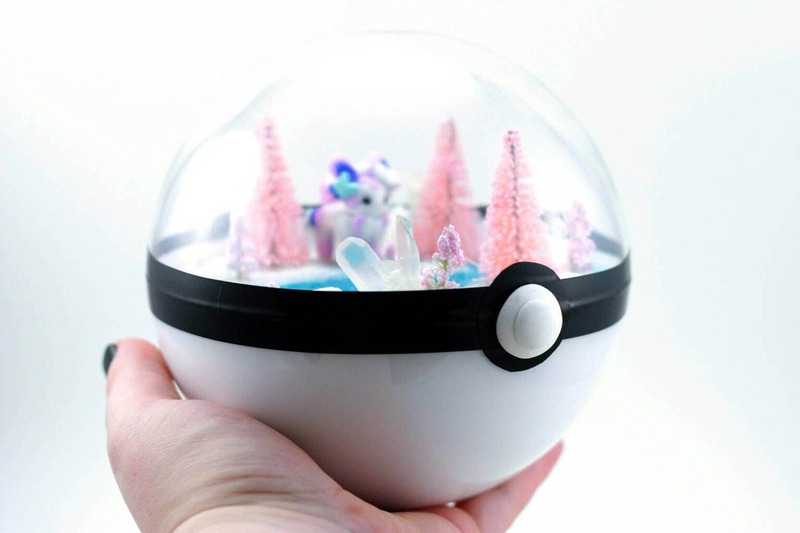 They are sealed and do not require any maintenance! 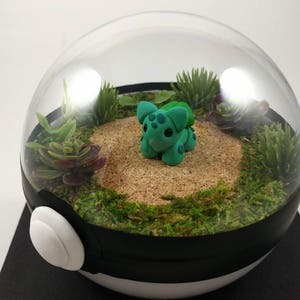 These Pokeballs are great to have on a desk, at work, or at home. 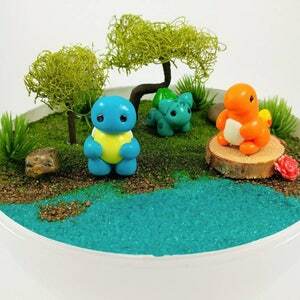 The mason jar lid base is not included. 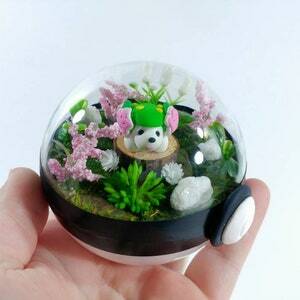 The pokeball is a hard plastic and may have minor imperfections.